Welcome to Latest Products Co. Since 1972, Latest Products Corp. has been successfully serving hospitals, nursing homes, correctional institutions, and government agencies with our high quality industrial laundry products. Over the years, we continue to add new product offerings and have grown to service thousands of businesses and facilities worldwide in all types of industries. We hope you will join our many satisfied customers who rely on us for all their laundry, housekeeping, and specialty item needs. Let Latest Products Corp. be your one-stop shop for high-quality industrial laundry products at the lowest prices! We are excited to fully launch our new and improved website. We welcome new customers and thank our existing customers for choosing Latest Products throughout the years. Please review our many different product offerings throughout or take a moment to download our full-line catalog. 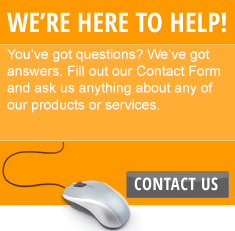 Our friendly and knowledgeable customer service representatives are available to answer any questions or to help you with your order fulfillment needs. The Staff at Latest Products Corp.